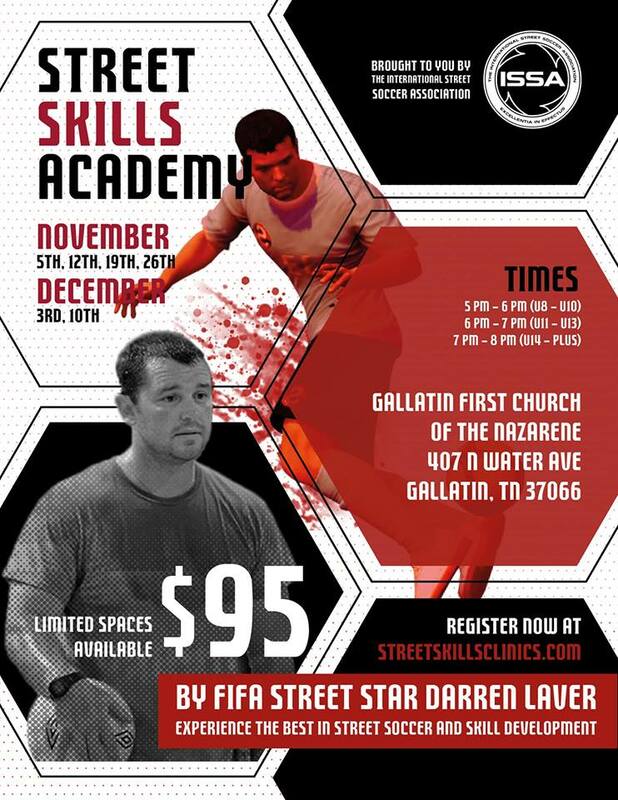 The Street Skills Academy is not like your usual soccer coaching. This 6 session program is about developing skill, creativity and the ability to perform in 1 v 1 and 3 v 3 situations. Our mission is not only to show players what it takes to be a truly great player, but to allow players to fall in love with the beautiful game. The program is all about creating an optimal learning environment where players can learn to express themselves in a non-judgmental atmosphere; these are the key attributes that all great clubs adopt throughout Europe. As part of the program we teach the players how to play in small areas, tight situations and be truly immersed in their learning, improving their decision making, their speed of thought and speed of play. Players will leave the program becoming inspired and motivated to enjoy the game of soccer. 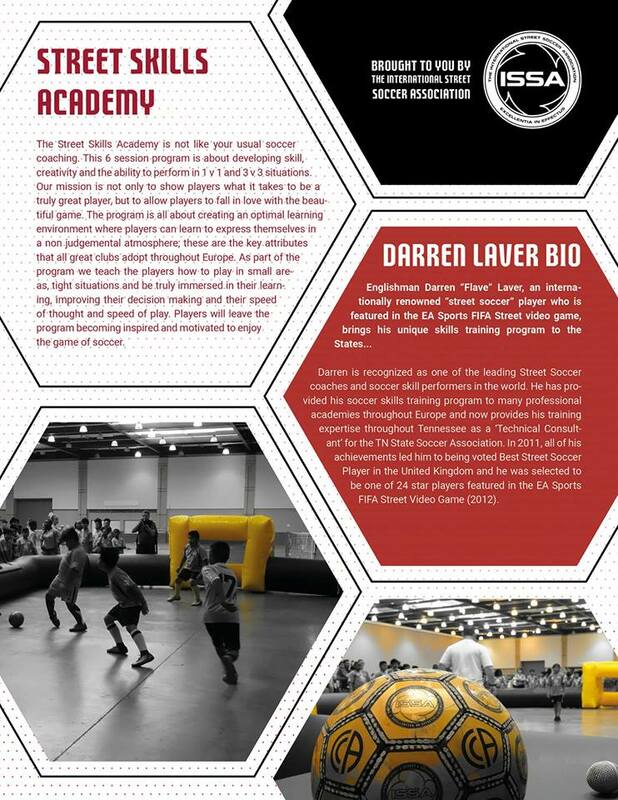 Darren is recognized as one of the leading Street Soccer coaches and soccer skill performers in the world. He has provided his soccer skills training program to many professional academies throughout Europe and now provides his training expertise throughout Tennessee as a ‘Technical Consultant’ for the TN State Soccer Association. In 2011, all of his achievements led him to being voted Best Street Soccer Player in the United Kingdom and he was selected to be one of 24 star players featured in the EA Sports FIFA Street Video Game (2012).